U.S. police officers are reportedly investigating a series of death threats targeting Taylor Swift and her superstar friends. The internet troll allegedly targeted the Twitter accounts of a number of female celebrities, including Taylor and model pals Cara Delevingne and Gigi Hadid, with abusive messages threatening murder. A tweet reportedly sent to Cara, 23, even explicitly threatened her friends. “I will kill your friends and I am excited about it,” the message read. Editors at the gossip site report that police officers have launched an investigation into the threats, and have obtained a search warrant enabling them to look through the social media company’s records in an attempt to find the culprit. The investigation was allegedly sparked after the director Kyle Newman, 40, reported threats sent to his wife, Jaime King, 37 to the police. Chrissy Teigen, 30, the model wife of R&B star John Legend has also reportedly been targeted. In addition to her own superstar status, Taylor, 26, has become known for being at the centre of a close-knit group of famous friends, dubbed her ‘squad’, which includes Cara, Gigi, fellow model Karlie Kloss, 23, and pop star Selena Gomez, 23. The pals have often publicly displayed their friendship, with a number of ‘squad’ members appearing on stage with Taylor during her The 1989 World Tour last year (15). 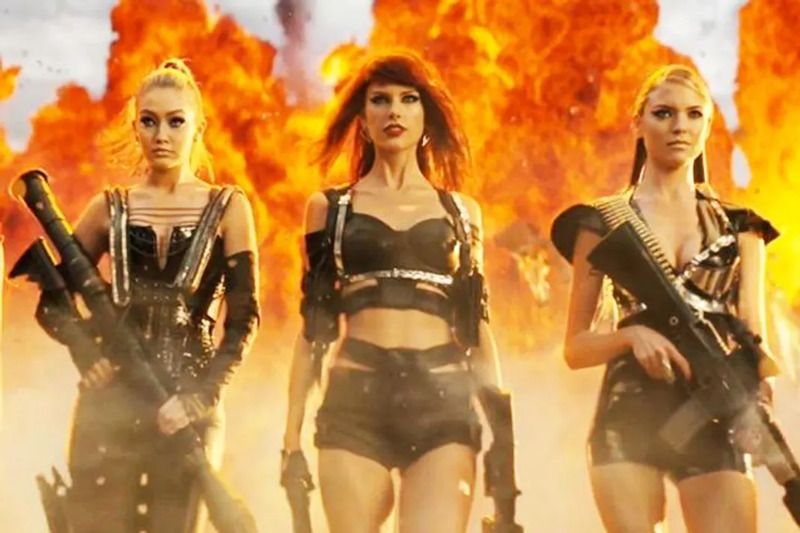 The ‘squad’ also joined forces to star in the video for the musician’s 2015 hit Bad Blood. At the time of WENN going to press, police officers had yet to name a suspect who they were looking to speak to in connection with the investigation. Which Taylor Swift Song Is About Your Ex? Can You Guess The Taylor Swift Music Video Based Off A YouTube Comment?